Tomorrow morning, Monday 6/1 be one of the first 100 customers into your local Victoria's Secret store and receive a free gift!! Simply print this coupon here and take it with you!! No purchase necessary. See any other great buys at ShopRite this week? Leave a comment and share what you've found!! This week Wegman's has Kellogg's Frosted Flakes (14 oz.) and Raisin Bran (20 oz.) on sale for just $2.00 a box with your Shoppers Card. Use the $1.00/1 printable coupons that were on coupons.com a couple weeks ago and pay just $1.00 a box!!! I knew there would be a great Kellogg's cereal sale sooner or later to use these great coupons!! The sale runs through next Saturday 6/6. Heading out to Bath & Body Works this weekend for their Big Semi-Annual Sale? Well, here is a printable coupon for a FREE Lip item with any purchase. Coupon is valid for this weekend ONLY!! Remember the coupons and code are only valid for today 5/30 ONLY!! Who said they have to be new to be fun?? Going used is a great way to save a little cash!! This weekend ONLY .....Gamestop is offering a great deal on used video games both in-store and online!! Buy any 2 used games or accessories and get 1 FREE!! Discount applied will be to the lowest priced item. Print this coupon here for in-store purchases or use code B2G1FREE when prompted online for discount to be applied. Remember this deal is only valid thru this Sunday 5/31!! -Lays Potato Chips B1G1 FREE!! See any other great buys at Acme this week....leave a comment and sher what you've found!! Click here to print a coupon for $10 off a $25 purchase or more at JCPennys. Remember Father's Day is just around the corner!! Coupon is valid thru this Tuesday June 2nd only. Some exclusion apply...be sure to read the fine print!! Shopping online....use promo code 10GIFT at checkout for discount to be applied. This week Genuardi's is having a Combo Deals Sale...Purchase in Pairs and save!!! Chips & 2 Sodas $1.99-Purchase a bag of Doritios (11.75-14.5) and 2 Pepsi 20 oz. bottles. See any other great buys at Genuardi's this week....leave a comment to share the great buy you've found!! That's right....next Friday June 5th participating Dunkin Donuts will be celebrating National Donut Day. What does that mean for you? As part of the celebration they will be giving away a FREE donut with each beverage purchase!! I must admit I am so totally hooked on their iced coffee!! No, I do not really need that free donut, or should I say my hips don't. But I know Little Man or Little Miss would not mind eating it for me!! I'll be sure to remind you as the date gets a little closer!! Here is this weeks FREE song download Absolutely Still by Better Than Ezra courtesy of Walmart. Be sure to check back next week for another free song to download...what better way is there to add new tunes to your playlist?? Free is good!! Amazon is having a Spring Magazine Promotion...So that means more savings for you! !Subscribe to any of the eligible magazines included in the promotion and you will receive an additional $5 off at checkout...no coupon code needed!! There are many popular magazines included in the great promotion including All You Magazine. If you are not familiar with All You it is a great magazine filled with helpful tips, advice, lots of money savings coupons, and articles on ways to save money!!! With this great promotion a one year (12 issues) subscription to All You is just $10.00! A Thanks to Gina to the heads up on this great deal!! Keep 'em coming!! I suppose this will be soon become the new way to get great coupons....via a text message. I have been seeing more and more coupons this way recently!! If you are heading out to On The Border click here to enter your cell phone #. They will then send you a text message good for a FREE Bowl of Queso or Sopapillias. Offer looks to expire on July 31, 2009......so plenty of time to use it!! Remember standard text message rates apply. Kraft...when you think of the name what comes to mind?? Their very famous Macaroni & Cheese of course!! Well, they would like for you to help them get to their goal of donating 1,000,000 boxes of Mac & Cheese to Feeding America. It's very easy to help!! Simply click here to donate a FREE box!! Plus, while your there be sure to print the valuable coupon offers for Kraft Mac & Cheese products as well!! There is one for $1.50/2 boxes of Deluxe or Velveeta and also a coupon for Buy 3 Kraft M&C boxes get a box FREE!! Perhaps a special occasion? Or maybe just because?? Well, either way here is a printable coupon for $5.50 off of a purchase of $25 or more at Longhorn Steakhouse. It does not expire until 7/5/09 so no need to hurry. To find a Longhorn Steakhouse near you click here. To help keep your little ones reading even school is out.....Borders has a Summer Reading Challenge for ages 12 and under. It's a fun, easy way to get rewarded for reading!! -Record the books your child has read on this form here. Once completed have a parent or guardian sign the form. -Then head on over to your local Borders, Borders Express, or Waldenbooks store with completed form and get 50% or more off one selected item as a reward for job well done!! Forms must be submitted before August 31, 2009. The sale at Walgreens runs through this Saturday 5/30. Burt's Bees is celebrating 25 Years. So it's time to celebrate!!! They are throwing a "Burt Day Party" tomorrow, May 27th starting at 9 am !!! They would love for you to join in on the celebration with them....they are giving away 25,000 FREE Lip Balms as part of the fun!! Click here to RSVP for this great event and then you'll be one of the first to know when the giveaway along with the fun begins!!! Or you can click here to head on over to Burt's Bees website for more info. Good Luck...Oh and have fun!! It does not expire until 6/21...so here's hoping for hotter temps before then so I can enjoy one too!! I am sure over this past weekend your camera has had alot of use!! I know it has around here!! So just in time Walgreens is offering 50 digital prints for just $5.00!! Simply add 50 4x6 or 4x5.3 prints to your cart and enter promo code SUMMER5 at checkout for discount to be applied. Have more than 50 prints? No problem....all prints over 50 are also just 10 cents a print too!! Orders must be placed online by May 30th at 11:59 pm. You can pick-up your prints at your local Walgreens store to avoid shipping fees or pay to have them shipped to your home. So sorry this is so late getting posted!! With the holiday weekend my days are all mixed up!! Better late than never, I guess!! Here are the best deals I could find for the week...a bit slim due to the holiday weekend. Here's hoping for a great sale next week!! See any other great buys at ShopRite this week? If so please comment and share what you've found!! Wegmans Boneless Skinless Chicken Breasts (Club Pack) $1.99 lb. 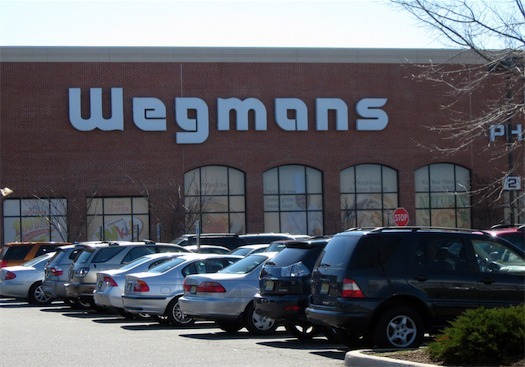 See any other great buys at Wegmans this week....if so please share in a comment!! Well Father's Day will be here before you know it!! And just like there was a FREE customized card for Mom on Mother's Day here is one for Dad this time courtesy of Shutterfly. You do have to pay the nominal shipping & handling fee....just about a dollar!! It's very easy to do to!! Simply click here to get started and then at checkout enter coupon code CARD4U for your discount to be applied!! I am sure Dad will love it!! I also used $7.00 I had in ExtraBucks from this order. And Earned a total of $5.00 back in ExtraBucks!! If bottled beverages are on the to-buy list for this busy holiday weekend your in luck!! Acme Markets has you covered!! -Coke, Diet Coke, Coke Zero, or Sprite (12 packs) 5 for $11...Plus get 2 FREE packs of Hillshire Farm Lunch meat with coupon on back cover of this weeks circular with purchase of 5 12 pks.!! !